Macau has been known as the “Monte Carlo of the Orient” since the 1850s when gambling was legalized in the former Portuguese colony. Currently, Macau is one of two special administrative regions of China (Hong Kong is the other region). Although China is responsible for the territory’s defense and foreign affairs, Macau maintains its own legal system, police force, currency, customs policy, and immigration. Since gambling in China is illegal, mainland Chinese flock in droves to legally throw the dice in Macau. 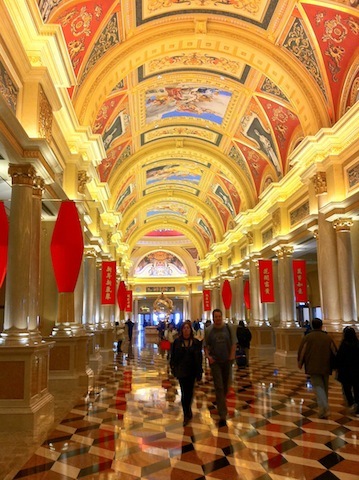 Such enthusiasm for gambling helped gaming revenue in Macau overtake that of the iconic Las Vegas Strip a few years ago. 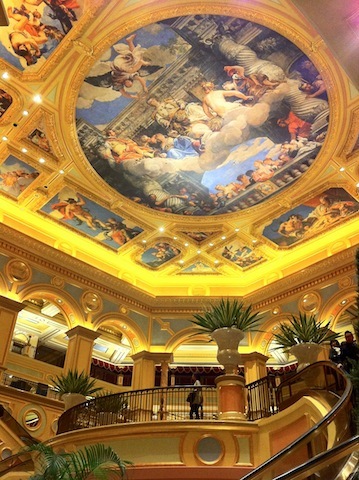 Not only is Macau the biggest gambling hub in the world, it also boasts the world’s largest casino – that’s right it’s bigger than anything in Vegas. Modeled after its sister casino in Las Vegas, the Venetian Macau features the same Venetian design, canals and all (seen in our photos above and below), as well as a 3000 room hotel, the biggest shopping mall in the region, ZAIA Cirque du Soleil show, and an unrivaled selection of gambling options including 1,150 gaming tables, and 7,000 slot machines. Many of the iconic Las Vegas hotels have sister properties in Macau. 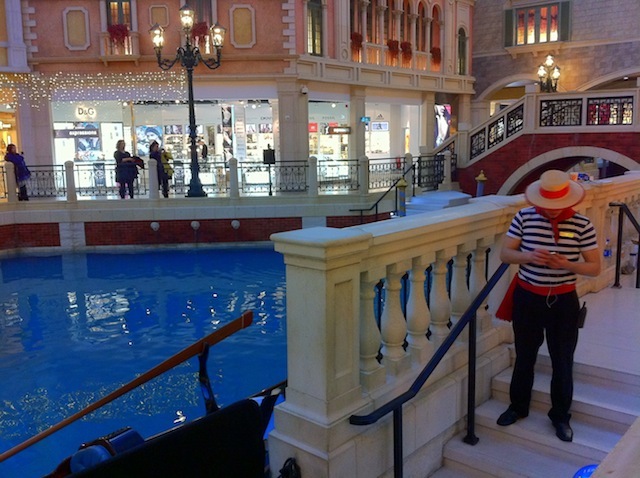 Just like the Venetian, Macau also houses the Wynn Macau, MGM Grand Macau, and Sands Macau! Think Las Vegas is the second largest gambling hub? Singapore is actually projected to generate more revenue than Vegas this year. Sorry Vegas, you’re slipping to third place! Ritz-Carlton For $10 A Night. For Real.